BANFF, ALBERTA, Canada – If seeing your sweetie gives you all the adrenaline you need to make your heart go pitter-pat, treat them to a romantic champagne picnic in the snow. 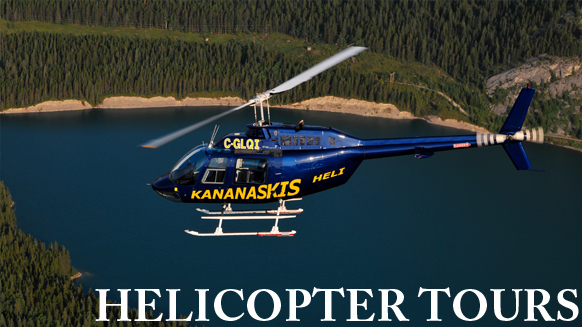 Fly to your destination on a 20-minute private Cline Glacier Explorer Tour helicopter flight. Take in panoramic views of snowcapped peaks while sipping champagne and picnicking in the snow. Later, enjoy a short snowshoe walk up to a frozen waterfall before taking the helicopter back. It’s not hard to see why this one of the most romantic Banff sightseeing tours. Gentle forest trails and breathtaking scenery, complete with snowy alpine peaks make the Cline River Valley one of the best places to visit in Banff, Canada in winter. Let Icefield Helicopter Tours be your guide to the magic with their winter adventure tours. Put on your snowshoes, skis, or ice cleats and follow our guides as they take you through the bewitching winter landscape of the Canadian Rockies.